Do you know the story of Easter? How soldiers took Jesus to a cross? That Jesus died for our sins? And He came alive again? 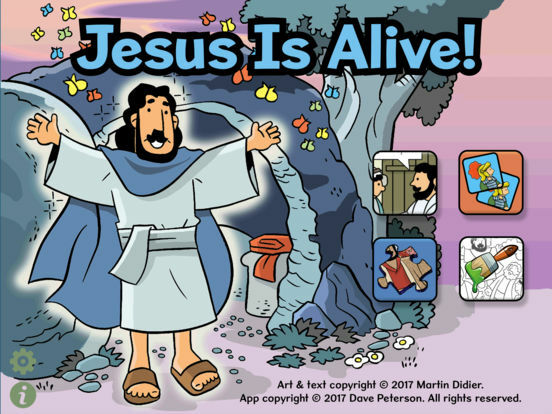 This Bible app for kids includes a wonderful story, interactive jigsaw puzzles, coloring pages, and a matching game.